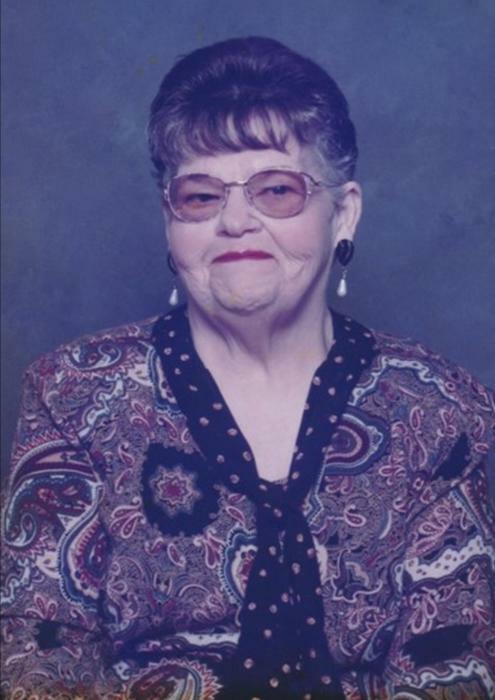 JERSEYVILLE - Doris Ann Kessinger, 83, died at 8:40 p.m., Monday, March 18, 2019 at the Advent Health Care Hospice Care in Orange City, Florida. She was born in Kirksville, Mo. on May 18, 1935, and was the daughter and lovingly raised by George and Katherine L. (Closser) Buchannan. For many years, she and her husband were loyal members of the First Assembly of God in Jerseyville, and just recently became a member of the Southwestern Apostolic Lighthouse Church in Fidelity. She married Floyd R. Kessinger on November 21, 1956 at the Bethel United Methodist Church in Dow, and together they shared 48 years of marriage before his death on March 18, 2005. For many years, She and Floyd lived in McClusky where they raised their daughters and she cared for the home, eventually moving into Jerseyville. Later in life, she blessed others as a baker at the Elsah Landing. After Floyd's death, Doris remained in Jerseyville until moving to Deltona, Florida in 2012. Surviving are two daughters and sons in-law, Malinda and Thomas Hess of Frostburg, Md. and Kimberly and Jesse McIntyre Sr. of Deltona, Fl. ; a son in-law, John "Moe" Madson of Jerseyville; seven grandchildren, Joshua Ritz of Fulton, Mo., Torissa Williams of Amissville, Va., Jesse J. McIntyre Jr. of Daytona Beach, Fl., Idella McIntyre and Jessica McIntyre, both of Ellenwood, Ga., and Julia McIntyre of Richmond, Va.; two great grandchildren, Jesse McIntyre III of Dayton Beach, Fl., and Patricia McIntyre of Richmond, Va.; and two sisters, Kathy Nobling of Moline and Debbie Buchanan of Dow. In addition to her parents and husband, she was preceded in death by a daughter, Elisabeth "Beth" Madson; a grandson, Thomas Hess; and a brother in-law, Joseph Nobling. Visitation will be from 5 to 8 p.m. Tuesday at the Crawford Funeral Home in Jerseyville, where funeral services will be conducted at 10 a.m. Wednesday. The Revs. Michael Mohr and Larry Hayes will officiate. She will be laid to rest at the East Newbern Cemetery in Dow.